Nothing can vet the real life approval of what goes into (and eaten!) in a kid’s lunchbox than kids themselves. 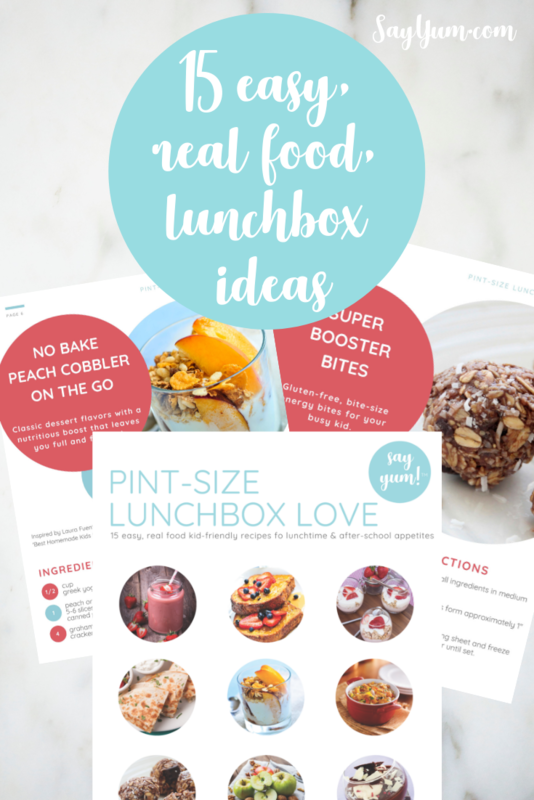 Here you’ll get just that – easy lunchbox ideas that are from real life, kids and healthy as well! Last year our girl scout troop completed their cooking badge and each girl shared their favorite real food recipe for an easy, healthy snack or main dish they enjoy in their lunchbox. I compiled all their easy recipes and snack ideas (15 in total) into a cookbook for the troop and made a version specifically to share with all of you which is available as a free lunchbox e-cookbook when you subscribe to our mailing list. Making my kids lunches has lost its luster over the years. When they were little, I used to LOVE it! I’d be Pinteresting up cute bento box ideas, had cookie cutters in a variety of shapes, and they loved it! I also quite enjoyed the compliments from teachers on how cute (and healthy) their lunches were. They’re 10 and 12 now and it’s a different story. They now have food preferences of their own, and aren’t afraid to share them. So when the girls got together it was a wonderfully positive, peer-pressure experience where they got inspired to try new, easy, lunchbox ideas. Since then, many have made it into our own lunchbox repertoire. Most of the recipes and snack ideas are ones kids 10 and up can prepare independently. A few require some oversight or instruction for using the oven or stove, but these are critical life skills. It’s important for them to gain confidence in the kitchen from an early age so the fear of sharp objects and heat is vanquished, and they can unleash infinite creativity in the kitchen as they become adults. It’s nice to be reminded, real food doesn’t have to be complicated. Kids value simplicity, especially as taste buds develop. 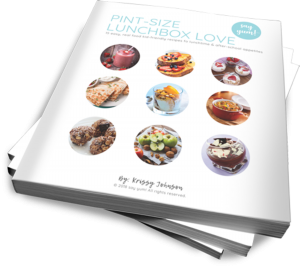 If you’re looking for a total makeover or just some new, easy lunchbox ideas, you’ll find something to pique your kids interest in our e-cookbook, ‘Pint-Size Lunchbox Love’. Share it with your kids and let them choose an idea or two they’d like to try. Help them shop for the new recipes, hone their budgeting skills, and let them loose in the kitchen. Assist only as needed or safety requires. Click the subscribe button to join our mailing list and receive your free cookbook today. It’s never too late to add some variety to your kids lunch boxes. 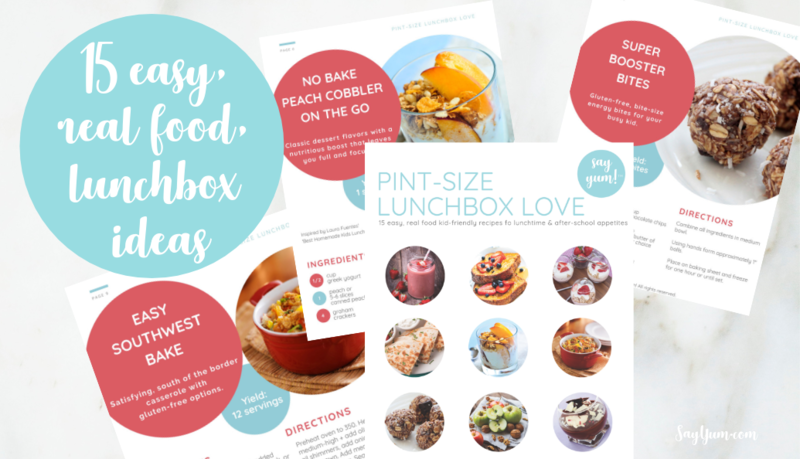 Don’t miss out on these kid-approved, easy lunchbox ideas and subscribe today! If you’re interested in some dinnertime inspiration, check out this family favorite skinny greek chicken gyros recipe or a weeknight meal plan featuring comfort food dinners under 500 calories. This post contains affiliate links. I may receive commission for purchases made through links in this post. 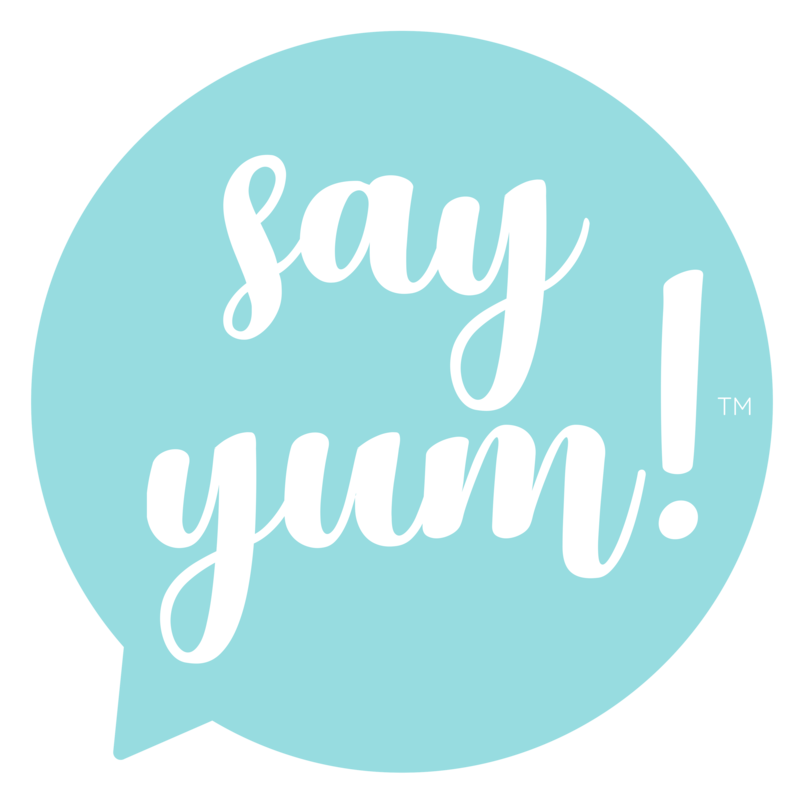 This does not cost you extra and helps support say yum! Thank you so very much for you support. Please read my disclosure for more info.